The following article was written as a supplement to Helena Lehman’s first book in the Language of God Book Series, “The Language of God in the Universe.” It gives more background information surrounding the celestial signs between September of 3 BC and December of 2 BC, which appear to have been divinely tailored to announce Christ’s birth. In addition, it highlights how important it is to view Yahshua (Jesus) as a Jew, in a Jewish context and environment. It also shows how crucial the timing of Yahshua’s birth, death, and resurrection were in order for Him to fulfill all the prophecies concerning the Messiah in the Old Testament, and Star Gospel - prophecies that were partly embodied in the Autumn Feasts of Israel. 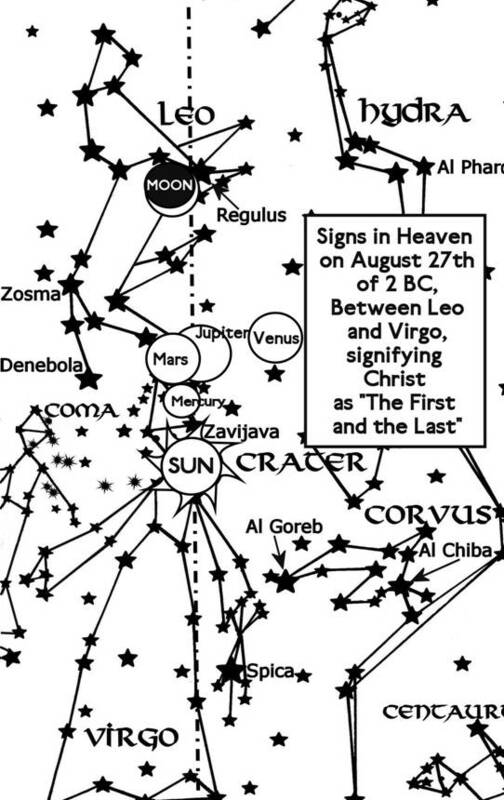 In my book, “The Language of God in the Universe,” the celestial signs that appeared in the heavens over Jerusalem on September 11th, 3 BC, and for a year before and after that date were discussed in relation to the Gospel in the Stars, and Sacred Astronomy’s clear relationship to the Bible. However, the information in that book regarding Christ’s Birth is incomplete, as it does not go deeply enough into the events outside of the night of September 11th, 3 BC, and the night of August 27th, 2 BC to convince some skeptics of the true importance of Sacred Astronomy, and its purpose. The purpose of Sacred Astronomy, in contrast to Ancient Astrology, was to determine the Will of Yahweh and His Son as revealed in the heavens, and to speed the unfolding of their Will. As such, Sacred Astronomers did all they could to thwart those who wished to hinder the revealing of Yahweh’s Will, as Sorcerers using paganized Astrology continually tried to do! Enoch the Sethite, and great prophet of God who was translated into heaven without experiencing death because of his righteousness, called the heavens “the heavenly tablets.” In the Book of 1 Enoch, or Ethiopian Book of Enoch, the heavenly tablets are referred to several times. This book tells us that Enoch was so righteous, and God-fearing that he could converse with God’s holy angels. As a result, Enoch understood the Language of God in the starry heavens, and Sacred Astronomy better than anyone else of his era. Enoch said “the heavenly tablets” contained the deeds of men and angels throughout time. This strongly suggests that Enoch was referring to the forty-eight ancient constellations of the Zodiac, which was correctly called by its Hebrew name “Mazzaroth” in the Kings James Version of the Bible (Job 38:32). As was shown in my book, the celestial storybook, or Gospel in the Stars that we call the Zodiac also foretold the coming of the one future King, Priest, and Redeemer who would conquer the fallen angel Azazel (i.e. Satan), sin, and death forever. This was none other than Yahshua the Messiah (a.k.a. Jesus the Christ)! There are many reasons why September of 3 BC was a fitting time for the Messiah of the Jews, and all humanity, to be born. First of all, 3 BC would have been the very last year of the Fourth Millennium since the Creation of Adam and Eve in 4003 BC, based on a strictly biblical chronology some Bible scholars such as myself follow. 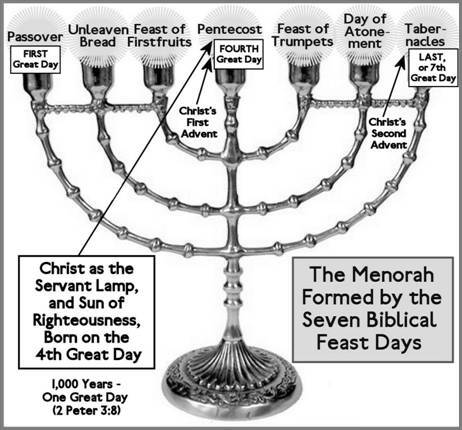 Now, as will be explained more fully in a moment, the prophetic meaning hidden in the design of a seven-branched menorah shows that the fourth, or middle lamp represents the day the Sun was created, and also represents Yahshua as the Light, or symbolic Sun of the Servant Lamp. It was also meant to indicate the Millennial Day in which Yahshua would be born! Intriguingly, this may be why Malachi put the prophecy of the coming “Sun of Righteousness” into the fourth chapter of his book! Also, the Fourth Day was when Yahshua, acting as Creator, wrote His Word into the heavens, and created the awesome Gospel in the Stars. It therefore would have been quite fitting for Him to be born as a man during the corresponding Millennial Day. However, if Yahshua was born anytime after 3 BC, this could not have been possible, and would not allow all the prophetic symbols in the Old Testament Tabernacle, such as the seven-branched menorah, to be fulfilled. Since the most biblically based, traditional biblical chronologies date the creation of Adam to Rosh Hashanah in either 4004 or 4003 BC, the year 3 BC would have marked the last possible year of that Fourth Great Thousand-year Day. So, Yahshua would have had to be born before Rosh Hashanah in 2 BC. The Epistle of Barnabas is attributed to the companion of Saint Paul named Barnabas that is mentioned in the Book of Acts (Acts 11:22-26). It is dated to around the time that Paul wrote his New Testament letters. Now, since this idea of thousand-year ages was well-known among preachers like Barnabas and Paul, and fishermen like Peter (who guided himself at sea by the stars), God’s 6,000-year time line for human events most likely would also have been known to the Wise Men. It would therefore be unlikely that they would ignore the extreme significance of all the celestial events between Rosh Hashanah, or the Feast of Trumpets in 3 BC, and Rosh Hashanah in 2 BC. Significantly, the signs in the heavens on September 11th, 3 BC have much meaning when viewed in a Jewish context. First of all, that date saw the dawning of a New Moon, or first day of a new month on the Jewish calendar. Furthermore, it was also Rosh Hashanah, or the Feast of Trumpets. This was seen not only as the beginning of a New Year, but as a special biblical Holy Day dedicated to Yahweh that was accompanied with the blowing of the Shofar, a Ram’s horn that Jews fashion into a trumpet for religious purposes. Now, if you give careful attention to the preceding Scripture, you will note that Virgo must be clothed with the Sun. To clothe her with light, the Sun should be in Virgo’s torso area, as it is in the adjacent drawing. The Moon must also be under her feet, which it is. Furthermore, there always has been a garland, or crown of twelve distinct stars around the star Zavijava, which is considered to be the star marking Virgo’s head. However, the stars around Zavijava may actually be too faint to be considered the remarkable crown of twelve stars crowning the Woman clothed with the Sun. Instead, it may be that the sign of Leo as it appeared with Jupiter on Regulus in September of 3 BC could be the garland, or crown of twelve literal stars that was envisioned upon the woman’s head in Revelation 12:1, especially because Jupiter represents the Messiah King of Israel, and the star Regulus is often said to be prominent in the heavens on the days great kings are born. In fact, there are eleven fairly prominent stars marking the sign of Leo, and Jupiter on Regulus can be seen as the twelfth star. But what makes this Day of Trumpets in 3 BC even more significant than any other in history is what occurred on Yom Kippur, or the Day of Atonement on Sept. 21, 3 BC, and on the first day of the weeklong Feast of Sukkot, or Tabernacles, on Sept. 26, 3 BC - while Jupiter was still very near to Regulus. Let me stress the crucial importance of the star Regulus, also known as Rigel, in conjunction with the Messiah planet Jupiter at the time of Christ’s birth. Rigel marks one of Leo the Lion’s front paws. It therefore seems highly likely that it is allegorically tied to the star named Rigel, or “the Foot that Crushes” in the constellation Orion’s foot. Adding to this hypothesis, Orion and Leo both represent Christ in His role as a Conquering King, and Orion is tied to the entire Giza Pyramid complex, where the Great Pyramid and Great Sphinx serve as symbols for Christ! See my book: “The Language of God in Prophecy” for more about the fascinating correlation of the Giza archeological site with Orion, and Christ. Though most translations of Revelation 12:1 say that the garland, or crown of the Woman was upon her head, the Greek for that word is “epi,” meaning “over, above, or upon!” Since it can, and probably does mean “over” or “above” in this case, then my interpretation of seeing Leo the kingly lion with Jupiter as the crown of twelve stars over Virgo’s head is not only totally possible, but likely true! In addition to these obvious matches between Revelation 12:1-2 and the heavenly sign of Virgo on September 11th, 3 BC, there are other heavenly signs that seem to verify this date as a good choice for the birthday, or imminent birth of Christ. For example the planet Venus (the reflected light of Yahweh, or Christ as the Light of the World, or Morning Star) was on Virgo's face, suggesting that Miriam (Mary) was shining from within with the true light of the Light of the World, which is the Son of God in her womb. In addition, Mercury, God's Scribe planet that records His Word and Will was in Virgo’s breast, showing that Miriam was filled with the true Word of God, who is the Son of God in her womb, as depicted by the Sun in her torso area. September 11th, 3 BC was fifteen days before the Feast of Tabernacles, a holy festival week that began with the Full Moon on September 26th, 3 BC, and depicts Yahshua’s Millennial Rule on Earth. Now September 11th in 3 BC was a New Moon day marking Rosh Hashanah - also called Yom Teruah, or the Feast of Trumpets. This feast is tied directly to the First Trumpet announcing the crowning of Yahshua as the King of kings in Heaven, as well as the Last Trumpet announcing the return of our Messiah King to conquer the wicked, and reign on Earth. Ten days after the Feast of Trumpets, the holiest day of the Jewish religious year occurs. It is called Yom Kippur, or the Day of Atonement, and represents the future Rapture of the Saints into Heaven, as well as God’s full forgiveness of their sins. Yom Kippur was the day that two goats, one called the Scapegoat, or Azazel goat, and the other representing Christ as a sin offering, were sacrificed to God to atone for all the sins of the Israelites. The Scapegoat represents the fate of Azazel, or Satan, and all evil people who follow him. Together, they are to be cast into the Lake of Fire to be separated from God for all eternity. The goat used as a sin offering, however, represented the coming of Yahshua as an atonement sacrifice to redeem His people Israel from sin and evil, and to give them eternal life and fellowship with God. This goat’s blood was saved, and sprinkled on the Israelite people gathered in front of the Tabernacle to show that the goat’s blood covered their sins, and gave them renewed fellowship with God. The Day of Atonement first served as a symbol for Christ’s atoning sacrifice on the Cross of Calvary. At the very beginning of the Great Tribulation, however, the Day of Atonement represents the deliverance from evil called the Rapture, when Gentile saints grafted into Israel, and Messianic Jews who love Christ will be translated directly into Heaven to join the dead in Christ, who will already be with Yahshua, and ready to attend the Wedding Supper of the Lamb, or the wedding of Christ to His Church in His Father’s House (i.e. Heaven!). These saints will be with Yahshua in Heaven until the Great Tribulation is drawing to a close, when they will return with Yahshua from Heaven as his army of saints, and will vanquish the Antichrist and his armies that have invaded Israel, and surrounded Jerusalem. At sunset on September 20th, the most solemn day of the Jewish liturgical year began. That night, the Moon (signifying spiritual renewal) was prominent in Aquarius, the symbol representing Yahshua’s giving of the Torah, and the Holy Spirit to mankind. The Moon was a symbol of spiritual renewal through repentance, and doing good works before the First Advent of Christ. After His Resurrection, the Moon also came to represent the renewing presence of the Holy Spirit in born-again disciples. This is highly complimentary to Aquarius, which represents Yahweh’s giving of the Law, as well as Christ’s enormous outpouring of the Holy Spirit after His Resurrection! Meanwhile, on that same night of September 20th, 3 BC, Mars - the planet of blood sacrifice - was in Capricorn, the sign representing both Noah, and fallen mankind’s need for salvation from sin. This perfectly reflects what Christ did for us on the Cross - as also represented by Passover. When Christ died, He served as an atonement sacrifice for the sins of all mankind. Furthermore, Christ’s Resurrection opened the way for Christ to give mankind the Holy Spirit on Pentecost. Just like Passover, Yom Kippur has a past, as well as future application. In all cases, the Day of Atonement signifies our need for everlasting redemption from sin. Now, I believe Scripture teaches that there will be a Pre-Tribulation Rapture of the Church, and the Rapture is an event tied to the First Resurrection, which marks our everlasting redemption from sin. None of this would have been possible, however, if Christ had not been born! Looking at Virgo an hour after sunrise on Sept. 21, 3 BC, Mercury (the Word of God) and the Sun (the Son of Righteousness) appear in near conjunction with Spica, the star signifying Yahshua as the Righteous Branch of Jesse! Incidentally, this conjunction appears right where Virgo’s birth canal is allegorically located, signifying that the coming of the Messiah who would offer the ultimate redemption of the world was near at hand! It also allegorically marked the breaking of the water, or beginning sign of this woman’s labor to give birth! Meanwhile, Jupiter (the Messiah planet) was in Leo (the Lion of Judah) in near conjunction to Regulus (the King star), and Venus (signifying Yahshua as the Light of the World, and Morning Star) was at Virgo’s heart, which likely signified the virgin Miriam’s happiness that she was about to give birth. Finally, Saturn (signifying mankind’s Sabbath rest from evil works) was in Taurus, the sign representing Yahweh’s salvation given to the Gentile nations through the Last Supper symbolism of Communion, and our New Blood Covenant with Yahshua, our King (as seen in Orion, and at Giza). Now, five days after the Day of Atonement, or fifteen days from Yom Teruah, or the Feast of Trumpets, the weeklong Feast of Tabernacles (also called Booths or Sukkot) begins. Though the Feast of Tabernacles signifies the fellowship believers automatically receive when they truly repent, and accept Christ as their Savior, this week also represents two future events. First, it represents the Wedding Supper of the Lamb in Heaven. According to Jewish wedding customs at the time of Christ, most wedding feasts lasted 7 days, which symbolizes the seven years of the Wedding Supper of the Lamb in Heaven. Secondly, it depicts the Great Tribulation “week” of years - with a focus on the sixth year of that time as a time of great trouble for the Tribulation Saints, and the Jews. Thankfully, the seventh year of the Great Tribulation will be cut short by the return of Christ with His Bride. At that time, the Tribulation Saints, and newly converted Messianic Jews will join Yahshua and His Bride at another Supper on Earth celebrating the Marriage of the Lamb with all those who are sanctified by their worship of Yahshua, and are thereby invited to the feast. On the first day of the Feast of Tabernacles, or Sukkot on September 26th, 3 BC, the signs in the heavens added more to this already remarkable story in the stars announcing the Messiah’s birth. The most important of these signs was that the Sun (the Son of Righteousness) and Mercury (the Word of God) were near Virgo’s kneecaps, just where any newborn baby that had just fully cleared a woman’s birth canal would be! This is a clear sign that Yahshua was likely born on that day, or very shortly thereafter! Thus, the Son of God would truly have come to Tabernacle, or dwell with mankind, just as the Feast of Tabernacles allegorically alludes to. Meanwhile, Jupiter (the Messiah planet) was still in Leo (the Lion of Judah) in near conjunction to Regulus (the King star), and Venus (signifying Yahshua as the Light of the World, and Morning Star) was in Virgo’s belly, which likely signified Miriam’s overwhelming joy upon beholding her newborn son for the very first time. Now, remember that the Scripture says Yahshua was supposedly laid in a manger. However, as discussed in my books, Middle-Eastern cave-style barns can be disgustingly dirty, and smelly places. No one but a shepherd who often sleeps near his herd can usually tolerate the stench. It stands to reason, then, that God the Father would not allow the blessed virgin Miriam to give birth in a dirty, smelly place like a cave used as a barn! Furthermore, it is highly unlikely that God would allow His one and only Son to be born in a smelly, manure-filled, fly-infested, dirty place! This would not only be a humbling experience, but a totally humiliating, and nightmarish event for Joseph, Miriam, and her newborn son! It seems, rather, that God would place His Son in a Sukkah, or booth that served as a symbol of Yahweh’s ingathering of all His children to Himself through His Son! Note that the above verse declares that this babe in a booth is a sign, just as the heavenly signs of the Zodiac were. Note also that the word used to describe Christ is “babe,” from the Greek word “brephos,” which can only mean infant, and cannot mean “young child,” as Christ is described in Matthew 2:11. Also, the evidence of the textual criticism being carried on by Messianic Jews and Christian scholars today indicates that Luke’s Gospel may have first been written in Hebrew or Aramaic. This would have been in keeping with Christ and Paul’s mandate to deliver the Good News of the Kingdom of God to the Jews first, and to the Gentiles afterward (Matthew 15:22-28; Acts 3:26, 13:46). Furthermore, based on similar textual criticism, the Greek translators may have mistranslated the Hebrew/Aramaic word “sukkah” or “booth” into the incorrect word “manger,” though they translated the word for “infant” correctly. Besides the possibility that the New Testament was first written in Aramaic and Hebrew, there are many good reasons to believe that Christ was not laid in a manger, but a Sukkot booth, or Sukkah. First of all, a Sukkah is a gaily decorated, temporary shelter with no roof, so that the men sleeping in it outside at night could see the stars. This is how the Feast of Sukkot or Tabernacles was celebrated at the time of Christ. The men stayed outdoors at night in the booths, while the women slept inside with the children. Now, the Greek word translated as “young child” in the preceding passage is “paidion,” and usually describes a young child, or, in our vernacular, a toddler - not an infant! If Yahshua had been born in September of 3 BC, He would most certainly have been a toddler by December of 2 BC, when the Magi may have actually found Yahshua in Bethlehem. We will explore this possibility in the final two sections of this article. In this Scripture, the Red Dragon represents Herod the Great, and the oppression of Rome in the past, while in the future it represents all the antichrists and kingdoms/nations throughout history that have hated God’s people. In the Gospel in the Stars, this Red Dragon is depicted in several ancient constellations, namely Hydra the Sea Serpent, Cepheus the Sea Monster, and Draco the Dragon. On September 11th, 3 BC, and on August 27th, 2 BC, the Gospel message in the Stars that announced Christ’s birth incorporated the long, twisting form of Hydra, the Sea Serpent to depict the Antichrist, and all the little antichrists like him. Uncannily, this malevolent sign runs along the entire length of Virgo and Leo, though Hydra’s head is beneath the front paws of Leo. This suggests that the conquering Lion of Judah is poised to crush the serpent that is Satan forever, just as the very first prophecy in the Bible announced that Christ would do (Gen. 3:15). A major conjunction of planets had formed between Virgo and Leo, the first and last signs of the Zodiac. As shown in my book: “the Language of God in Prophecy,” the Great Sphinx, with its lion’s body, may signify the Zodiac sign of Leo, while its woman’s face likely signifies the sign of Virgo the Virgin, as well as the sign of Aquarius, which is associated with the Millennial Rule of Christ! As such, the Sphinx at Giza may represent the beginning and ending signs of the Zodiac, or Mazzaroth story joined together as one book with twelve related Zodiac sign chapters. The Great Sphinx may also dualistically signify the beginning and end of time as we know it, since Creation may have begun during the 2,160 year precessional Age of Leo, while the New Heaven and New Earth may become a reality at the end of the precessional Age of Aquarius (See Books One and Four of the Language of God Book Series for more about this). This enormous sphinx therefore was likely meant to represent Yahshua as “the Word of God,” “The First and the Last,” “The Beginning and the End,” and “The Alpha and the Omega,” just as Yahshua is designated by Isaiah, the Apostle called John, and the Book of Revelation (Isaiah 44:6, 48:12; John 1:1; 1 John 5:7; Rev. 1:11, 2:13, 22:13). The meaning of the Great Sphinx has been captured in the following illustration. The significance of this sign was immense! It was announcing what God’s prophet Isaiah had testified about, and what the writer of Revelation proclaimed: that the Alpha and Omega, and the First and the Last had come in human form at last. This was further confirmed by the allegorical meaning of the celestial bodies assembled at the junction between the first and last signs of the Zodiac. For example, the “star” called Jupiter that the Magi followed to Bethlehem was in conjunction with Mars, signifying Christ’s blood redemption. It was also very close to the Sun in Virgo, signifying Christ as the divine Son of God, and human son of Miriam (Mary). Adding to this messianic theme was Venus, signifying Christ as the Morning Star, or Light of the World; and Mercury, signifying Christ as the faithful Scribe, or Word of God! Finally, the Moon (symbolizing the spiritual renewal found in the Holy Spirit of God, and Christ) was in conjunction with the king star Regulus in Leo, symbolizing the Lion of Judah. This would have been a clear sign to the Magi that the long-awaited Messiah and King of the Jews had been born! Since they also knew that Jupiter was the Messiah’s planet, the Wise Men were likely filled with excitement as they hurriedly packed and left Parthia, and followed Jupiter’s movements to determine where to travel. The Star of Bethlehem - Temporary, or Everlasting? As mentioned in the previous paragraph, the Magi likely followed the movements of the planet Jupiter in order to find Christ’s whereabouts. The reasons for this are numerous, and are founded on the idea that Jupiter is the planet that mystically-minded Jews associated with their Messiah. As the most massive planet in our Solar System, and with the most satellites, Jupiter seems fitting as the celestial representative of the only man who ever lived who never sinned, and who was also fully God incarnate! It also seems more in keeping with Yahweh’s nature that the sign, or star announcing the birth of His one and only Son would be an everlasting sign, not just one that shined temporarily. Now, in order to prove the possibility that Jupiter is, was, and always will be the Star of Bethlehem, and the star of the Messiah, let’s take a close look at Jupiter’s behavior around the dates associated with His birth in this article. Oct. 1st - Oct. 20th, 2 BC: Jupiter and Venus very close together near Virgo’s head star Zavijava, appearing southeast of east over the horizon just before sunrise. As shown in the preceding list, the messiah planet Jupiter could be seen in conjunction with many other allegorically meaningful celestial bodies around the proposed time of the Christ’s birth. heeos eithoon esthatee epanou hou een to paidion. This suggests that the Wise Men were looking for the Messiah’s star Jupiter as it rose before sunrise, so they could follow its position in the sky. Now, it is important here to note that Bethlehem is southwest of Jerusalem, and that is the direction over the horizon that Jupiter and Virgo appeared to move from August 27, 2 BC to February 25th, 1 BC! At the same time each morning, and before sunrise, Jupiter could be seen near midpoint in Virgo as it moved steadily further to the southwest over the horizon during that time. This was true until shortly after February 28th, 1 BC, when Jupiter was no longer visible just before sunrise, but it was still near the midpoint of Virgo. Interestingly, the location of Jupiter in Virgo during this entire time suggests the Messiah as He is nursing at His mother’s breast! It is therefore likely that Jupiter served as the Star of Bethlehem. As such, the Magi would have noted Jupiter’s position every morning to see where is was over the horizon. Then they would have traveled in the direction it pointed to on the horizon. In this way, they used Jupiter as their compass until they arrived in Bethlehem - which was very likely on December 25th, 2 BC, during Chanukah that year. Incidentally, since Yahweh is a God of miracles, it is possible that God supernaturally caused Jupiter’s luminosity at this time to outshine Venus in brilliance, making Jupiter the most brilliant object in the sky at that time outside of the Sun and Moon. After all, Jupiter is the planet of the Messiah, and the Messiah had just recently been born! It is likely that the Magi, or Wise Men were from the kingdom of Parthia, whose borders contained all of ancient Babylonia (a.k.a. Persia). In 3 BC, it was a powerful and prosperous kingdom of the East that rivaled Rome. As members of the Parthian elite, the Wise Men probably traveled with their own military guard, and a large entourage of servants. Herod would therefore have accorded them the warm hospitality given to elite members of a friendly rival power. Wise Men were highly educated scholars who had gained knowledge in many types of wisdom. They were therefore likely well acquainted with Astrology, and Sacred Astronomy. As such, they were often called upon to crown kings, give advice to them, and to interpret signs and omens for them, and their court officials. The Prophet Daniel was a Wise Man like the Magi, and like them, he was probably very familiar with Sacred Astronomy, especially since he was put in charge of all the Wise Men and Astrologers in the Persian King’s court where he worked (Daniel 1:17-20, 2:48, 5:11). Followers of the Zoroastrian faith, as well as a significant population of Diaspora Jews primarily inhabited Parthia. Though it is commonly believed that the Magi were Gentiles who followed the Zoroastrian religion, it seems more likely that these Parthian sages were either Jews, or Zoroastrians who had converted to Judaism. After all, if they were devout Zoroastrians, why would they be interested in the coming of a king of a rival culture and religion? Furthermore, why would they wish to worship this foreign King like a god unless they actually knew who He was, and why He had come? Now, if the Magi left Parthia at the end of August, they would have arrived in Judea in late December after traveling for four months via caravan routes between Parthia and Jerusalem. Therefore, when the Magi arrived, a year had already passed since Yahshua was born! Furthermore, the Scriptures tell us that Yahshua was no longer lying in a “manger” or “sukkah.” Instead, he was in a house with his mother Miriam. Being in a house would make especially good sense if it was a rainy, wet December, or winter in Judea. Though some scholars assert that December 25th was picked as Christ’s birthday to help convert Pagans to Christianity more easily, it appears that the Magi may actually have presented Yahshua with their gifts of gold, frankincense, and myrrh on that very date! 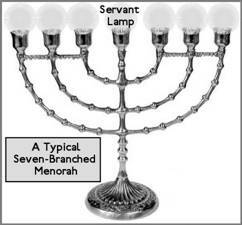 Furthermore, December 25th, 2 BC fell during the week long Feast of Dedication, or Chanukah that year. In addition, the Winter Solstice, or shortest day of the year occurred on December 23rd that year, and this celestial event fell during Saturnalia, the weeklong celebration of the birth of the Roman Sun god. 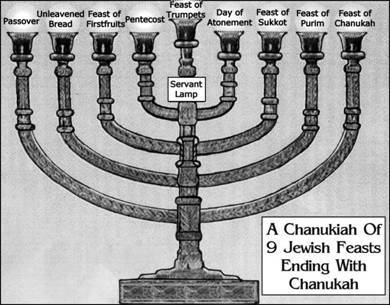 Nonetheless, Chanukah always begins on the 25th of Kislev on the Jewish Lunar Calendar, and since Chanukah usually falls in December, it may be that December 25th was picked as Yahshua’s birthday in an attempt to connect it to Chanukah - not the Winter Solstice. However, even if December 25th was connected to Saturnalia, the Sethite descendents of Enoch viewed Astronomy as a sacred science, and would correctly have seen the Winter Solstice as a symbol for the triumph of light over darkness. Incidentally, this is what Christ’s birth, life, death, and resurrection, and Chanukah - as a Festival of Light - also celebrate. If the Magi actually discovered Christ’s whereabouts, and worshipped Him on December 25th, then this also explains why this date was wrongly associated with Christ’s actual birthday. However, due to this wrong dating for Christ’s birth, many Christians have missed the prophetic importance of the Jewish harvest festival known as the Feast of Tabernacles, and how it was fulfilled, and will be fulfilled again through Christ’s birth, death, resurrection, ascension, and return. They also have missed the fact that the events surrounding Yahshua’s infancy and toddlerhood are all directly tied to the biblical feast days that Jews have celebrated for thousands of years! This even applies to Chanukah, or the Jewish Festival of Lights that was instituted long after the other Jewish feast days were described in the Torah. Chanukah commemorates the miracle of the menorah, when the Temple’s menorah lamps burned for eight days on one day’s worth of oil. This occurred during the re-dedication of the Temple in Jerusalem after the Maccabbees led a successful war to liberate Judea from foreign control. The Temple had to be cleansed and re-dedicated after being desecrated by Antiochus Epiphanes, the ruler of the defeated Seleucid Empire, which was Hellenistic. As a Pagan and a Hellenist, Antiochus served as an ancient counterpart of the coming Antichrist. Since Chanukah recalls the victory of the Jews over Pagan foreigners, it honors Jewish culture, and serves as a celebration of their unique religious heritage. Therefore, if the Magi discovered Yahshua, and He was conceived at Chanukah, it suggests that Yahshua desires all those who believe in Him as Lord and Savior to seek to preserve their unique New Covenant religious heritage, and to remain separate from all worldly, secular, and paganistic cultures, just as good Jews and Christians have strived to do throughout history. Scriptures like John 15:19; John 17:14-16; Ephesians 1:4-5; Colossians 2:20-22; and 1 Peter 2:9-12 support this view. Due to the heavenly signs at sunrise on December 25th, 2 BC, it appears that the heavens were also declaring the coming of the Wise Men who found Yahshua! For instance, at dawn on December 25th, 2 BC, Jupiter (which represents Christ as a human being who is filled with God’s wisdom, or the Son of Man) was in its stationary midpoint position in Virgo in the south over Bethlehem, while three planets - Mars, Neptune, and Venus - were aligned in Ophiuchus/Scorpio, which is a symbol for evil and sin (Scorpio) being vanquished by Christ (Ophiuchus). Now, could this alignment of planets be the source of the legend that there were three Wise Men who, incidentally, represented repentant sinners who had come to worship their Savior and King? In contrast to the meaning of Jupiter, the Sun serves as a symbol for Christ as the fully divine Son of God, and Mercury serves as a symbol for Christ as the Word of God, or Scribe who wrote the Gospel in the Stars. Significantly, the Sun and Mercury were in Sagittarius the Centaur on December 25th, 2BC. Sagittarius is a dual symbol showing Christ as an archer, or warrior, and Christ as an animal sacrifice combined. Therefore, the skies were foretelling that - even as a toddler - Yahshua had figuratively put an arrow into his bow, in preparation for shooting it through the heart of Scorpio, or Satan on Calvary, and forever redeeming the Wise Men (and women) who worship Him! The heavenly signs around December 25th, 2 BC were therefore clearly indicating that the Wise Men would find redemption from evil and sin because they were wise enough to worship Yahshua! Similarly, all of us saints who follow in their footsteps have been redeemed, and will continue to be redeemed until Christ returns in Glory, and we are resurrected to conquer, reign, and rule with Him forever! The illustration above shows the two centaurs in the Zodiac that represent Christ as a conquering King and atonement sacrifice combined. 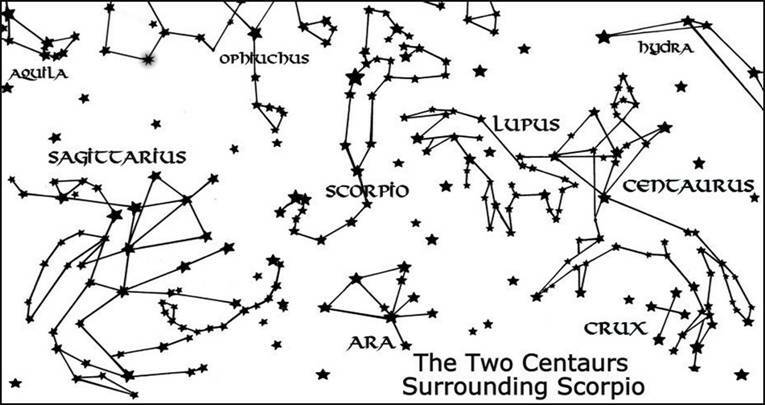 These are the Zodiac sign Sagittarius, and the decan constellation Centaurus, and they appear on either side of Scorpio, the Zodiac sign associated with Satan, the Antichrist, and the Tribe of Dan. In my book: “The Language of God in the Universe,” these star signs are explained within a biblical context, especially as they relate to prophecies concerning Yahshua, the Messiah. There are five more facts that seem to confirm the dating of Yahshua’s birth to 3 BC. The first is found in an event that dates Yahshua’s birth to sometime before January of 1 BC. This is Josephus’ record of a total lunar eclipse over Jerusalem that occurred immediately after Herod the Great had two Rabbis killed for supposed sedition. Within two weeks after this event, Herod died from a physical illness. In the book “Signs in the Heavens” by Messianic Jew Avi Ben Mordecai, it is explained that this total lunar eclipse was likely not the one that occurred on March 13th, 4 BC, but on January 10th, 1 BC. The second fact is found in the knowledge that, if Herod’s court astrologers calculated the date for Christ’s birth based on what the Magi had told them, this is likely why King Herod ordered the cold-blooded murder of all the baby boys of Bethlehem that were two years of age and under (Matthew 2:16). The age range of the murdered boys suggest that Yahshua was no more than two years of age prior to January 1 BC, making a September 3 BC birthday more plausible. First of all, we are told that John the Baptist’s father was the Levite priest named Zacharias, and John’s mother Elizabeth was descended from Aaron, the first High Priest of Israel, and Elizabeth was Yahshua’s mother Miriam’s cousin. This also shows that John the Baptist was a Levite from the priestly line of Aaron, and he was therefore fully qualified to call people to repent, and turn away from sin. Furthermore, John was also authorized to baptize people as symbolic living sacrifices that had chosen to “die” to sin, and live within God’s Law. Now, John’s priestly father Zacharias served in the Temple during the division of Abijah, which fell in the tenth week of the Jewish religious year. That year began in March during this time in history, and the division of Abijah fell ten weeks from then - in June. Since Elizabeth likely conceived that June, she would have been at full term nine months later. This would date John the Baptist’s birth to sometime in March of the following year, which was around the time of Passover Week. Luke’s Gospel also says that Miriam was overshadowed by the Holy Spirit, and became pregnant with Yahshua when her cousin Elizabeth was in her sixth month of pregnancy (Luke 1:24-31). This means that Miriam conceived in December of that year, probably during the Feast of Chanukah, or Dedication! So, the Wise Men may not only have visited Yahshua during Chanukah in 2 BC, but our Savior was likely conceived during Chanukah in 4 BC! If Yahshua were conceived in December of 4 BC, Miriam would have given birth to Yahshua nine months later - around the time of Sukkot in 3 BC. Therefore, September 11th, 3 BC may indeed have been the day Yahweh announced the imminent birth of His only begotten Son, Yahshua our Messiah. Interestingly, if Yahshua was born in September 3 BC, He would have been about 13 months old when the Magi located him with Miriam in a house in Bethlehem during Chanukah. The fourth fact that appears to confirm Yahshua’s birthday around Sukkot in 3 BC concerns Luke’s statement that Quirinius was the governor of Syria when Yahshua was born in Bethlehem (Luke 2:2). Some scholars scoff at this information, saying that Quirinius was not appointed as Governor of Syria until 7 AD. However, they are overlooking the fact that Quirinius was not appointed to govern over Syria, but the newly named Roman Province of Palestine in 7 AD. Roman records also indicate that, on orders from Augustus Caesar, Quirinius was called to temporarily govern over Syria in 3 BC. In addition, the Paphlagonian Inscription, and the Armenian historian Moses Khorene recorded that Augustus Caesar ordered all people to swear allegiance to Rome in 3 BC, when they were also to be counted in a census. So, the time frame for Christ’s birth that Luke was referring to was 3 BC, not 7 AD. The fifth fact that appears to confirm Yahshua’s 3 BC birthday is tied to Daniel’s Prophecy of the Seventy Weeks (Daniel 9:24-27). This prophecy states that there would be 483 years (seven weeks and sixty-two weeks of years) from the edict to restore and rebuild Jerusalem until “Messiah the Prince.” Modern scholars have interpreted this prophecy in various ways in an attempt to back several dates surrounding the life of Christ, who is the Prince and Messiah Daniel spoke of. 457 BC is the most widely accepted date for the issuing of the Persian king Artaxerxes’ edict to restore and rebuild Jerusalem. If we go ahead 483 years from 457 BC, we arrive at the year 27 AD, which was the likely year when Yahshua began His public ministry. 27 AD would also mark the beginning of Daniel’s Seventieth Week, which means that his prophecy that the Messiah would literally be cut off, or killed 3 and one half years later would have occurred in 31 AD. In my book “The Language of God in Humanity,” these dates are shown to fit the facts of history very well. Nonetheless, some could argue that 27 AD isn’t the date Daniel foresaw, because Yahshua didn’t technically appear on the world scene in 27 AD, but at His birth! Thankfully, there is another viable, if somewhat controversial way to apply the first 69 weeks of Daniel’s prophecy to align with Yahshua’s birth. This is found in the fact that 486 BC marked the end of the 70-year Babylonian Captivity of the Jews, which began with the destruction of Jerusalem by Nebuchadnezzar. Though historical records seem to indicate this happened in 586 BC, a strict biblical chronology dates this event to 556 BC. Now, since this captivity was divinely set to last 70 years, and meticulously kept Jewish records place the destruction of Jerusalem at 556 BC, the captivity had to have ended by divine command in 486 BC. The Bible indicates that it was in the first year of the Persian King Cyrus’ reign that the Jews were allowed to go back to Jerusalem, and rebuild Yahweh’s Temple (Ezra 1:1). Fascinatingly, 486 BC was the actual first year of the reign of King Xerxes 1 of Persia, which likely makes him the biblical Cyrus, who was also called Ahasuerus in the biblical story of Esther. As part of His divine plan, Yahweh caused this king to wish to rebuild Jerusalem and the Temple. To fulfill His desire, God also inspired 42,360 Jews to return to Jerusalem at that time (Ezra 2:64). Now, if we go ahead 483 years from 486 BC, we arrive at 3 BC, Yahshua’s proposed year of birth! All of the preceding information in this article points to the fact that Yahshua did indeed come to fulfill all of the prophecies concerning Him, including those prophecies that are inherent in the seven God-ordained feast days, and the Feasts of Purim and Chanukah added later on. Since each of the feast days associated with Yahshua’s birth (Tabernacles), life (Chanukah), baptism (Pentecost), death (Passover), and resurrection (Firstfruits) have messianic themes, and a past and future prophetic purpose, Yahshua proved that He came to fulfill the Old Testament Law, and save us all with His perfect, redeeming Grace (John 1:16-17; Matthew 5:17-18). “Baruch Ha Shem Yahshua Ha Mashiach!” or, “Blessed be the Name of Yahshua, the Anointed One!” May you be more fully blessed every fall and winter Holiday Season whenever you recall how Yahshua has already fulfilled so many biblical and celestial prophecies, and how He will fulfill many more when He returns to reign in Glory forever! Please Note: This article, and the illustrations in it are copyrighted. It was designed as a supplement to Helena Lehman’s 430-page book, “The Language of God in the Universe,” ISBN 0975913107, which is available at the POEM web site at http://www.pillar-of-enoch.com/Language_of_God_in_the_Universe/,, It is also available at Amazon.com, BarnesandNoble.com, and BooksAMillion.com. This article may be freely distributed as is, or quoted from in part, in any digital, or printed non-profit publication, as long as Helena Lehman is cited as the Author and Artist for this article, and its illustrations, and her Pillar of Enoch Ministry web site at http://pillar-of-enoch.com is mentioned in a footnote or bibliography. If used for profit, contact the author at helena@pillar-of-enoch.com to discuss purchasing one-time rights for its use.